Question: At our settlement recently, a lawyer charged us $150 for a survey. When we questioned this charge, we were told it was a lender’s requirement and we could do nothing about it. Just what is a survey? Answer: I hope the lawyer at least gave you a copy of the survey and fully explained it to you. It is important to distinguish between a survey and an appraisal — both of which are usually charged to the buyer. An appraisal assists the mortgage lender in assessing the value of the house so as to determine whether a mortgage should be made and in what amount. Generally, the appraisal will analyze the condition of the house, its location, structural soundness and comparable sales in the area. A survey, on the other hand, goes to the question of the marketability of the house. 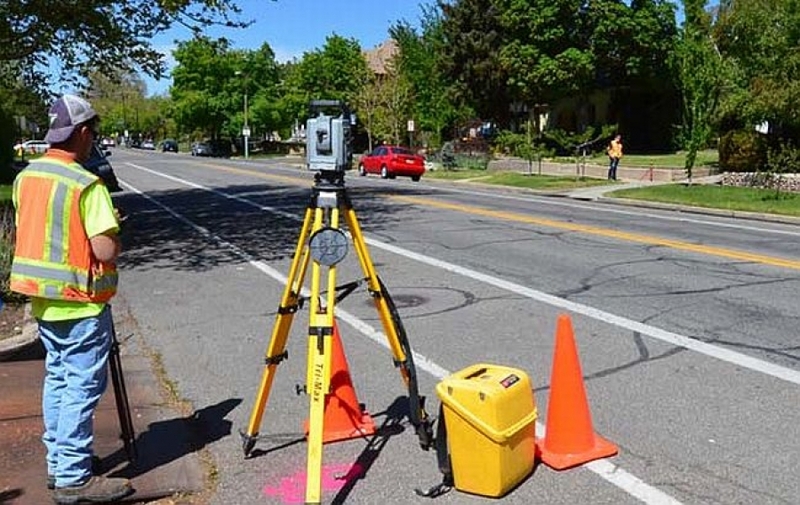 There are, however, several kinds of surveys: (1) location, (2) boundary, (3) if involving a commercial property, an American Land Title Survey, commonly referred to as an ALTA survey. The typical survey that the homebuyer gets at the settlement (escrow) is the location survey. Oversimplified, all it does it show where the improvements (the house, fence, shed) are located as they relate to the boundary lines. The survey typically will inspect the area and then submit the survey. Usually, this will cost a few hundred dollars. It does not, however, show you where the actual boundaries are. To do this, you will need to order the Boundary Survey. Here, the survey will — in addition to showing the location of improvements — determine where the property corners are, and then prepare a more detailed presentation. Often, however, it is very difficult to locate the corners of a piece of property. Years ago, great-grandma Smith told her attorney “the end of my property is where the oak tree stands.” And that’s what her deed — and all successor deeds read. However, the old oak tree was demolished years ago. To be precise, the survey will have to do a lot of research, legwork and measurements. So such a survey will be more expensive. The location surveyor determines whether the house is within the property borders, whether there are any encroachments on the property by neighbors and the extent to which any easements on the property may affect legal title. Lenders always insist on obtaining a clear “lender’s” title insurance policy covering the face value of the mortgage. Title companies will issue an exception to title unless a survey has been ordered, and thus surveys are usually required. My own belief is that everyone buying a house should obtain a survey whether or not the lender requires it. You can at least start with the location type. It is a good idea to learn, for example, whether there are any building restrictions affecting your right to add a porch or a fence. Equally important, does the next door neighbor have any possible claims of adverse possession? If the survey shows an encroachment — one way or the other — on a next door property, a potential buyer must investigate very carefully before taking title. But, here are some suggestions involving the survey process. First, location survey prices vary considerably. I’ve seen them as low as $130 and as high as $300, for the same single-family house. Ask your settlement attorney for an estimate. If it seems too high, arrange for your own survey and make sure a copy of the survey gets to your lender well in advance of settlement. It must be done by a qualified, licensed surveyor. Next, ask your sellers who did their survey. Unfortunately, most lenders will not honor a survey if it is more than six months old. But inquire from the prior surveyor whether the old survey can be updated and whether this will save you some money. Some of the more reputable surveyors are happy to get your business and will give you a break in the price. Additionally, if you are refinancing your existing home, some lenders and title insurance companies are willing to accept a survey affidavit instead of a new survey. You will have to sign an affidavit that no improvements have been made to the property since you originally purchased it. These affidavits are available at a minimum cost. You should also go to the local government surveyor in the land records office where your property is located. They are quite helpful and may be able to assist you with boundary questions, easement issues and such. If you are buying a condominium unit, you will not have to obtain — or pay for — a separate survey of your unit. That survey has already been done as part of the plans which were recorded with the condominium documents. But that does not excuse you from carefully reviewing the condo plats and plans. For example, are there limited common elements that impede your access to the roof? Do you have a limited common element? Finally, if you are considering installing a fence — or even a swimming pool — in the future, you will want stakes posted, it will cost you additional dollars. You should make the necessary arrangements for stakes at the time you order the survey. And don’t forget to get a copy of the survey from your settlement attorney.